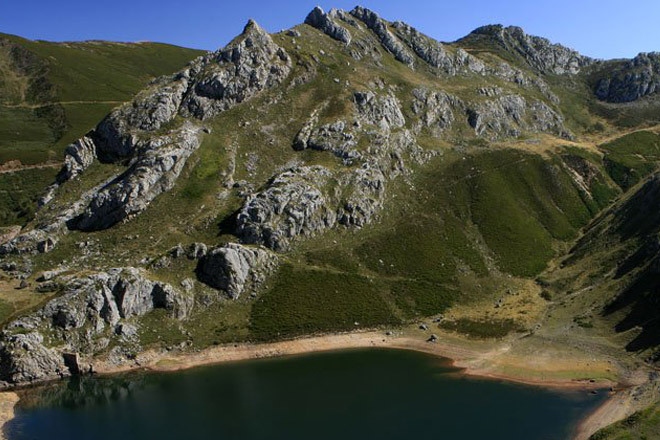 Thanks to the ideal location of the hotel, the wide variety of touristic and cultural sites Asturias has to offer are just a stone’s throw away along with inland or coastal excursions providing the visitor with the chance to connect with nature. At the hotel we will supply you with maps and guides to the different options available to ensure a great day out. The wide Sama de Grado valley is situated 11kms from its capital Grado, also capital of the Camin Real de La Mesa district, which is a mere 20kms from Oviedo, capital of Asturias. In the valley can be found small hamlets with their horreos and corncribs surrounded by meadows and woods made up of chestnuts, oak, hazelnut trees and ash wood. This area offers interesting possibilities for trekkers in the likes of The Deserted Village Route, The Guanga Waterfall or, if you’re up to it, there is a path circumnavigating the whole valley. 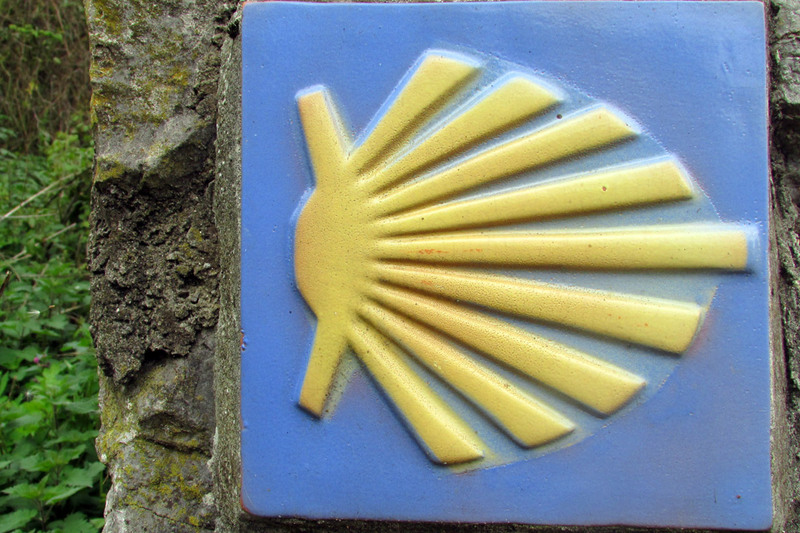 Grado lies 11kms from Sama de Grado, 20kms from Oviedo and 30kms from the coast. Its lush meadows give reason to important livestock and gastronomical fairs as well as a very famous traditional market held on Sundays since XIII century. 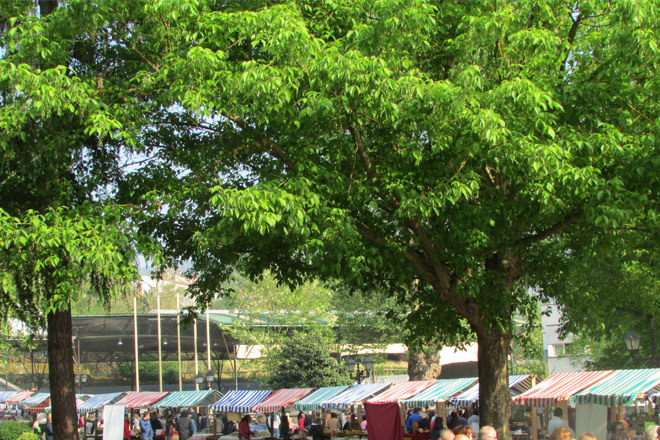 Here, typical asturian products and seasonal produce are sold. Grado also boasts a strong artistic heritage along with an ethnographic museum. The Old Road, known as The Old Way of Jacob, is the road joining Oviedo to Santiago de Compostela. 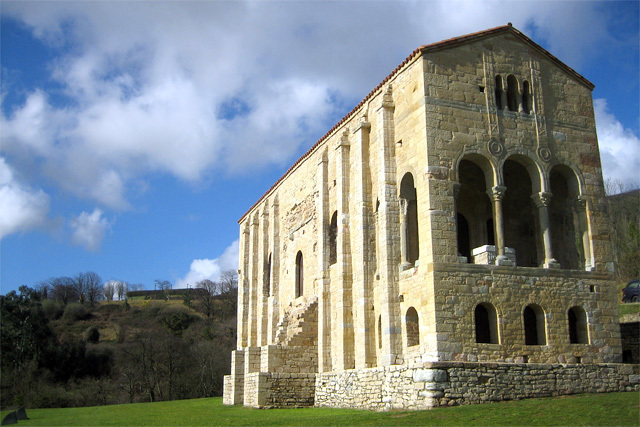 Leaving Oviedo, Grado is the first stop along this ancient of routes, which is the same route King Alfonso ll took in the lX century on his way through the different inland districts before reaching Galicia. Our hotel is popular with pilgrims from all over the world interested in this truly authentic Way of Jacob. Pre-Romanesque asturian art is singularly unique and had its birthplace in the Asturian Monarchy around the lX century. It’s linked to the first Christian movement on the Iberian Peninsula. It’s found only a few kilometers away from the hotel in the form of monuments like the St. Adrian Church of Tuñon, San Pedro de Nora, San Julian de Los Prados, Santa Maria del Naranco and San Miguel de Lillo. 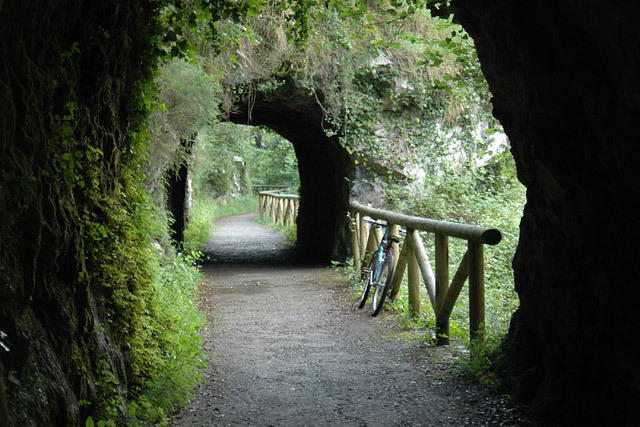 The 36km Bear Trail is a greenway for cyclists and trekkers following a stretch of an old mining railroad passing through the villages of Proaza, Santo Adriano de Tuñon, Teverga, Quiros, which all lie within The Bear Valley Basin. Quite closeby is the Las Xanas Gorge, the recreational area of Buyera and Bear Mountain where there is a special bear enclosure housing 4 well known bears called Paca, Tola, Furaco and Molinera. The Camín Real de La Mesa is a historical route constructed by the Romans with the purpose of accessing the Asturian coast via the Castillian massif. Grado, plus another 10 local councils, make up part of this region with a total distance of some 65kms running north to south starting in Torrestío-Leon and finishing in Grado. There are a further 172kms of access routes linked to this Camino Real ( Royal Way ) throughout the entire district. 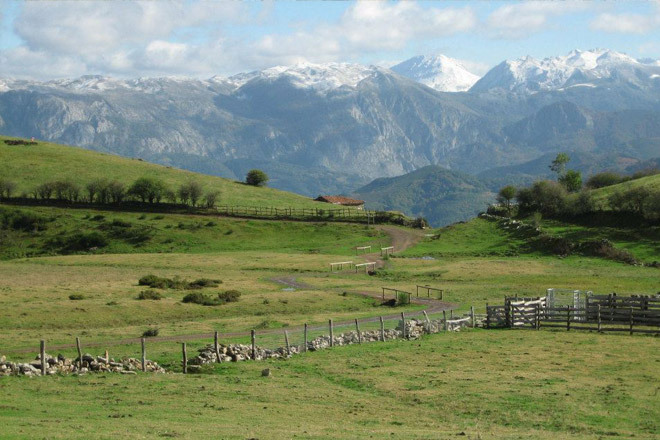 Due to its environmental richness, Asturias boasts no less than 6 national parks which make up a third of its territory, each of which has been denominated by UNESCO as biosphere reserves. 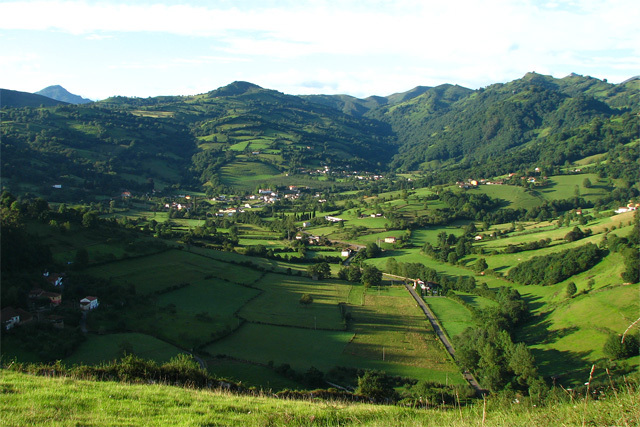 In no particular order we find; Oscos-Eo, The Picos de Europa National Park, Las Ubiñas National Park, Las Fuentes de Narces National Park, Degaña e Ibias, Somiedo National Park and last but not least, Redes National Park, all of which conserve native forests making Asturias an authentic green paradise. 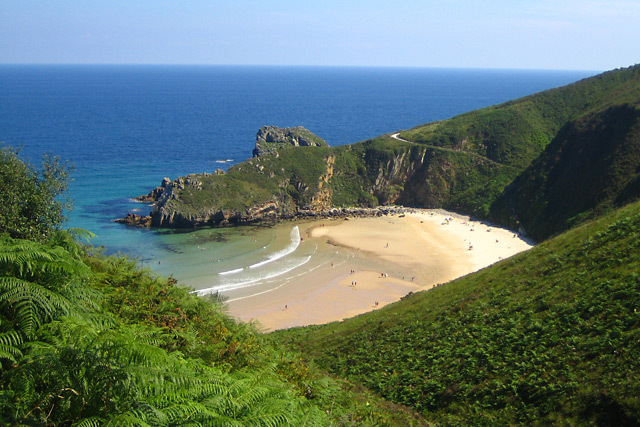 With more than 200 beaches scattered along its 450kms of coastline, Asturias offers the traveller the chance to enjoy a diversity of watersports including surfing, SUP ( Stand Up Paddle ) and fishing as well as magnificent coves ideal for snorkelling too. If you’re not feeling too energetic, you can simply delight in the myriad of colours to be found in the golden sands and rocky shores of the crystal clear waters this magic niche on the north coast has to offer. 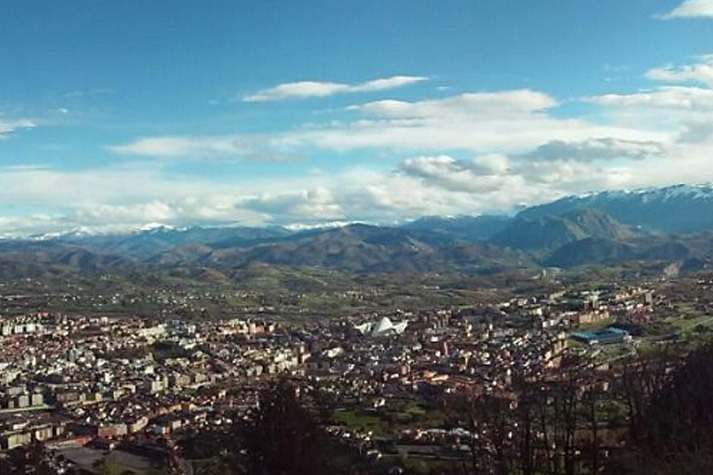 The capital city of Oviedo is only a 20 minute drive from the hotel. Here you can easily spend the whole day marveling at its cultural heritage and Pre-Romanesque monuments while visiting places of interest such as The Cathedral and its Chamber of the Saints, which are a must on any visitors list. The nearby cities of Avilés and Gijón are also worthy of a day out, even if it’s just to take in the coastal landscapes while discovering the rich gastronomy on offer.